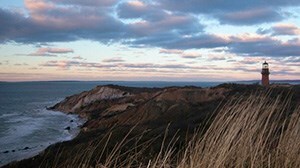 Increasing numbers of vacationers are coming to realize how affordable it is to take a vacation on Cape Cod, Martha's Vineyard and even Nantucket. 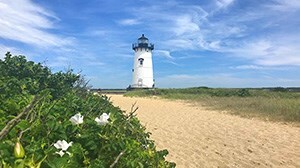 Unlike so many other vacation destinations - where some of your greatest expenses don't even start until after you arrive - the Cape and Islands offer so many free or inexpensive activities, especially for families. There are numerous opportunities for wonderful biking, hiking and kayaking adventures. And, as 40% of the US population is located within a day's drive, the Cape and Islands are easy and economically feasible for so many to get to. When is the ideal time to book a vacation home? 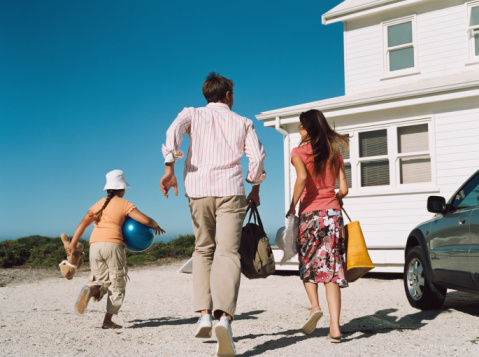 Timing for booking your vacation home depends on your needs as a renter. Be sure to book early if it's imperative that you be on or near the water, in a specific location, or require specific amenities. Larger homes, too, tend to fill up earlier in the booking season, and there are fewer of them, so don't delay if your party requires a large home. But there's no need to panic - lots of properties are coming online every day and will continue to do so right through the booking season. Use a trustworthy site like WeNeedaVacation.com - we've been in business for since 1997, we're locally owned and operated, we communicate with our homeowners extensively throughout the year, and most of us own vacation rentals on the Cape & Islands ourselves. We do not charge vacationers any booking fees. 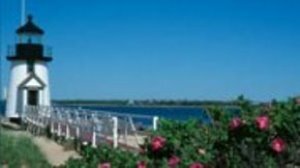 Identify the best location for you: our site offers a wealth of information on specific towns and beaches on the Cape & Islands. If you have young kids, for example, you might be happier in the Upper or Mid-Cape area where you have access to the calmer, warmer waters of the Bay and Sound as well as many activities geared to young families. If, however, you either have older kids or none, you may prefer the open surf and the quiet and natural expanses of the Outer Cape. This is equally true of the Islands where you may prefer to be closer to town with young kids, or more suited to rural Up-Island on the Vineyard or outside of Nantucket Town. 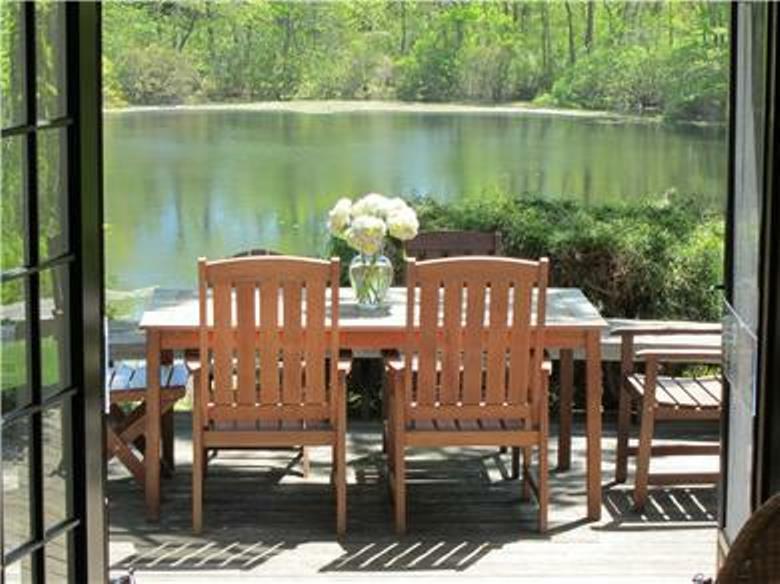 Save valuable time by targeting your search: use the Power Search for Cape Cod vacation rentals to search by location, size and price, and desired dates, as well as specific amenities such as Internet access, linens included, a/c, and outside shower. You can also choose a home that is on the water, has a water view, or is within walking distance of a beach. Best of all, you can view your search results as markers on a map. When you zoom in on an area, you'll see a property's proximity to places of interest, like main routes and the center of town. You can also enable Beaches on the map to see the location of your search results relative to the nearest beach. Plan ahead: our Vacation Planner enables you to plan activities, locate great restaurants and shops, etc. before you even arrive at your vacation home. And you can search for information specific to the town or area you're staying in. Read our Blog Our Get Back Blog offers hundreds of posts about all things Cape and Islands. Information on local events, Cape and Islands history, featured vacation rentals, and gorgeous beach pictures! Inquire by email (you can make multiple inquiries at a time) to start, if you wish, but ALWAYS speak directly with the homeowner or rental manager by phone prior to booking. This is critical to providing greater trust between you and the homeowner, and will also significantly help to ascertain that the property is a perfect fit for you. Join forces with friends or extended family – It's a terrific way to save money and have a lot of fun, too! Consider a freshwater pond or lakeside home instead of a saltwater beachfront property. Freshwater properties offer great values while still including proximity to saltwater beaches. 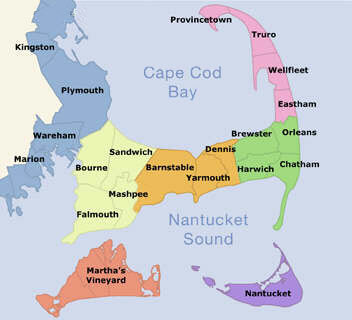 (No home on the Cape or Islands is more than a short drive from a saltwater beach anyway.) Plus, ponds and lakes have no surf or undertow, so they are safer for young kids, and they are less affected by high winds. Vacation in the off or "shoulder" seasons (i.e., May/June or Sept/Oct). Fall bookings particularly have increased dramatically and consistently over the past 4 years. Prices are lower, inventory is high, the water is still warm, crowds are diminished, and you can often book shorter stays. Although the water isn't quite as warm in May and June as the fall, rates then, too, are considerably lower, it's much less crowded, and allows you to get a jump on the season. Advantages of staying in a vacation rental. Homes accommodate more people for less money, they keep costs down because you can eat in occasionally, there usually aren't any extra fees, charges or taxes, and they provide greater privacy, space, and quiet. About Joan Talmadge: My husband Jeff and I created WeNeedaVacation.com in 1997, shortly after buying our Cape home. My background includes teaching fifth grade for 8 years and writing and editing educational publications for 15. I get great joy from helping fellow homeowners successfully rent their homes. Jeff and I are proud to have two of our three grown children working for WeNeedaVacation.com, truly a family-run business. For me, the Cape and Islands are magical all times of the year -- whether it's walking on Nauset Beach, playing golf, or enjoying family and friends.